When you think of a locksmith’s services, you will usually list “changing locks” among the most common. However, in many circumstances, you may want to consider re-keying a lock, as opposed to actually changing out the lock, itself. This is where a good locksmith will come in handy. A professional locksmith can assist you with determining whether merely rekeying a lock would be more logical than going ahead and replacing the entire lock. It’s interesting how many locksmith customers have never even considered that they had options in this matter. The process involved with rekeying a lock involves removing the springs and pins, located in the lock cylinder and replacing them with new ones that are designed to work with a new/different key. Unless there is something actually wrong with the lock, this can usually be a good way to proceed. Another reason that rekeying might be a preferable option is the fact that it will give the locksmith the opportunity to examine the lock, in order to see if it actually needs replacing. It should also be noted that when a lock is re-keyed, it is also usually lubricated. This can make the lock work more smoothly. With that said, there are times when a lock needs to be replaced. 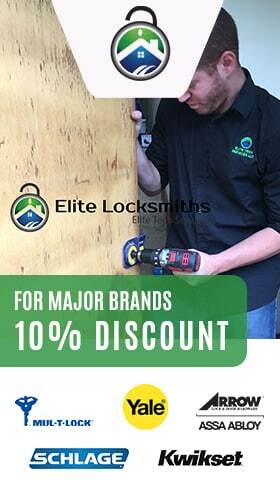 This generally occurs when the lock has become worn, over a long period of time or through constant use. In addition, it could be a good idea to upgrade a lock, especially if the lock utilizes an outdated form of technology that might make it easy to bypass. Other reasons can include the purchase of a lock that is more pleasing to the eye or a lock that is designed for individuals with disabilities. For those who own standard, mechanical locks, electronic locks may be a desirable option. For advanced security features, there are also biometric locks available. In any case, consulting with a professional locksmith is the best way to go, when you decide on changing a lock.